On 1 October last year, Catalonia's independence referendum – deemed illegal by the Spanish government – created Spain’s worst political crisis in decades. One year later, a long-lasting political solution has yet to take shape. 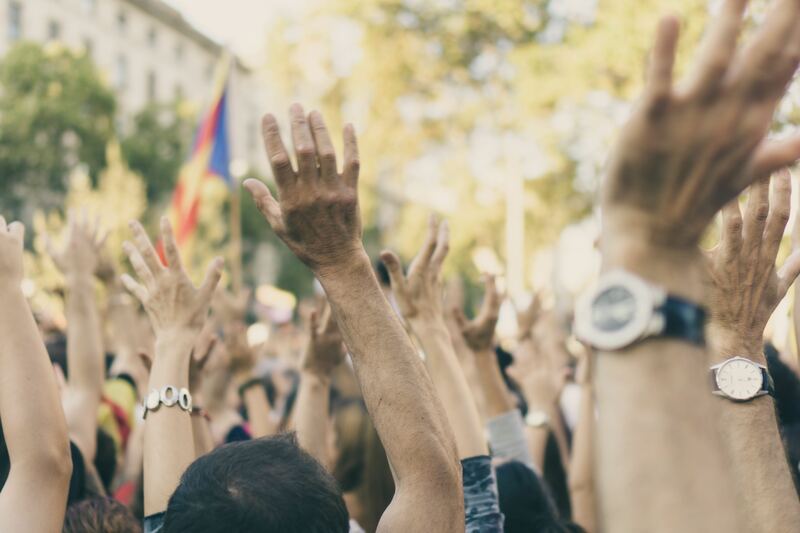 In this article Alberto Arroyo, a spanish student of Business Administration at CUNEF (Colegio universitario de estudios financiarios- Madrid) expresses his view on the catalan issue. Spain is currently undergoing one of the tensest political situations since the re-establishment of democracy in 1978: the Independence movement of Catalonia. This article will analyse the ideology and the consequences derived from it so far, with emphasis in the self-determination referendum that took place the 1st of October 2017. Catalonia’s independence movement started in 1886 with Josep-Narcís Roca lasting until nowadays with an important increase in the number of supporters between 2012 and 2018. Interestingly, this movement did not start in Catalonia but in Santiago de Cuba. The thesis being defended by this movement is that Catalonia is a sovereign nation basically due to their interpretation of history, culture, own language, civil rights, and the statement that they will not reach their social and economic fullness until they leave Spain. Their main objective is to make Catalonia an independent republic, part of the European Union (what is impossible as it will be explained later on). After the Catalan government failed to reach an agreement with the central government in Spain about holding a legal referendum for the independence of Catalonia, on 6th September 2017 the Parliament of Catalonia passed a law for holding a self-determination referendum without the approval of the competent authorities. This law established that the results of the referendum would be binding and that 2 days after the voting, the Catalan republic would be established in case that the “YES” option was the most voted. The question for the referendum was: “Would you like Catalonia to become an independent country in the form of republic?”. It is important to understand that they had been previously warned about the illegality of their actions, and the Constitutional Court suspended the law passed the previous day on 7th September. Acting as if the only law to be enforced was theirs, the Generalitat continued with the arrangements for the 1st October leading to the most convulse day in Spain since the death of Francisco Franco. Given the complexity of the situation, the most relevant places during voting day were schools since they were the only place where people could vote, and it was precisely there where the social conflict reached its maximum level. Once again it is very important to understand that, in Spain, public schools (where voting was taking place) depend on the central government who had also stated that they had to remain close during that day. This basically means that any use of those spaces was against the law. As in any country, in Spain the task of the state police is to assure the fulfillment of the law. Given that the voting had been clearly established as illegal, the central government ordered police to close all voting schools. Different pro-independence organisms had congregated civilians, especially kids, in schools so that police could not shut them down. When police forces faced civilians and tried to close the schools, the extreme violence began. The final result of the day was that not all schools were closed and therefore some people could vote. Any democratic process must accomplish certain guarantees to be considered legitimate. Apart from all the irregularities already mentioned, voting process also brought some irregularities to be seriously considered. This opinion is not just from the people writing this article, but also shared by Daan Everts, chief of the international observers in charge of assuring the fairness of the voting. 1. Even though that in theory only Catalan people were allowed to vote in the referendum, Catalan government established an online voting system in which people from outside Catalonia could vote (as it was proved by ABC, Spanish newspaper) as well as allowing people to vote as many times as they wanted. This system was later on that day shut down by police. 2. No paper envelopes were used allowing people to slip more than one vote in the voting boxes and eliminating the premise of the secret vote. 3. Voting boxes were not properly closed allowing organisers to extract votes in case they wanted. 4. There was no official census of the people allowed to vote. An online census system was established but it was also shut down by police. This led to images around the internet of people voting more than 3 or 4 times, people from all over Spain voting or even kids under 18 voting. 5. There was no votes counting system. 6. Last but not least, the main democratic idea of everyone being allowed to express his ideas was not fulfilled since not everyone who wanted could vote. This huge amount of irregularities makes the result of the referendum absolutely invalid, and therefore the message given since then by independence organisms saying that they represent the majority of the population. 1. Neither the Catalan government nor the Spanish central authorities were able to obtain an idea of the real percentage of the population who support independentism. Having a percentage of the population wanting to leave the country regardless of the consequences, is a huge problem; but in order to be able to address it properly you need to know the amount of people who believe that. 2. The use of violence by the Spanish police forces has given independentism arguments against the government. I do understand that schools had to be shut down in order to fulfill the law, but given that the date of the referendum had been announced some time before, if the response had been more organised, the results could have been much better. 3. Deterioration of the image of both the Catalan and the Spanish governments towards both the outside and the inside. The independence movement had already had devastating economic and social consequences for Spain and especially for Catalonia. THE IMPORTANT QUESTION. SHOULD SPAIN HOLD A LEGAL SELF-DETERMINATING REFERENDUM? First of all, it is very clear that the possible independence of Catalonia from Spain is a matter that would not only affect Catalonia, but all and every single region in Spain. Spain as it can be seen today was established in 1492 with the Catholic Kings, and since then every time a specific region has gone through difficult times the others have helped as they could. Neither the independence nor the non-independence movements know whether they represent a majority of the population. Possible problem: giving arguments to the independence movement.